The Alabama Ethics Commission had previously received two complaints alleging that the "Luv Guv" -- as he's been dubbed by local media outlets and bloggers -- misused state resources to facilitate his affair. The commission said it "found probable cause to believe" Bentley violated the Alabama Ethics Act and Fair Campaign Practices Act -- which is the state's campaign finance law -- after a yearlong investigation. The commission referred the matter to the Montgomery County District Attorney's Office. Bentley's attorney William "Bill" C. Athanas reiterated Wednesday that the second-term governor maintains his innocence. Bentley has repeatedly said he won't resign. It's important to keep in mind, this is simply a finding of probable cause. It's not a finding of a violation," Athanas said. Athanas said they don't believe there was a basis to find that Bentley "violated any law, much less the Ethics Act or the Fair Campaign Practices Act, and so the battle goes on." He added: "There's a great distance between probable cause and beyond a reasonable doubt." Both Bentley and Mason have denied having a physical affair. The governor and his wife divorced in 2016. My only plans are to focus my full attention on my precious children and my husband who I love dearly," she said in a statement issued by Bentley's office at the time. "They are the most important people in my life. Thank you for your prayers for our family." The affair came to light when Bentley's wife of 50 years filed for divorce in September 2015. The tapes were made public by the Bentley family, according to AL.com, which published excerpts. AL.com reported that it was allowed to hear portions of the tapes by people close to the governor's family. On one tape, Bentley could be heard saying: "When I stand behind you, and I put my arms around you, and I put my hands on your breasts, and I put my hands [unintelligible] and just pull you real close. I love that, too." A state commission on Wednesday found that Alabama Gov. 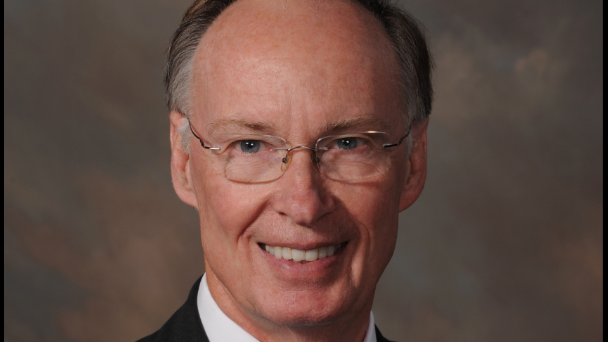 Robert Bentley may have violated state ethics and campaign finance laws. The Alabama Ethics Commission had previously received two complaints alleging that the "Luv Guv" -- as he's been dubbed by local media outlets and bloggers -- misused state resources to facilitate his affair.